June 5, 2018—Stealing used cooking oil is a $40 million dollar-per-year business. Restaurants are ripe targets and often don’t realize how easy it is to secure this precious commodity. 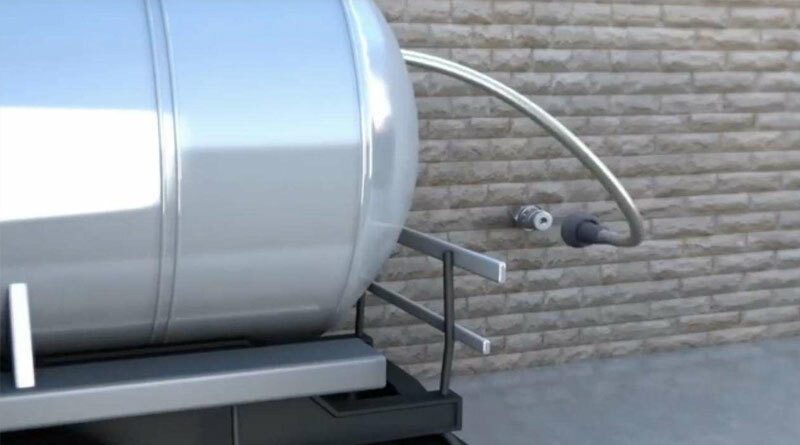 Frontline International’s integrated anti-theft valve makes sure that no one drains oil storage tanks unless they are authorized to do so. Why would anyone want to steal used grease? Because of its value to the production of biofuel and other byproducts like animal feed. It is estimated that 8 percent of all used oil intended for collection slips into the hands of thieves. That’s nearly 200 million pounds of stolen grease, selling at two to three dollars per gallon. Now, restaurants and their renderers can easily protect themselves and eliminate the theft threat. Frontline collection ports with the integrated anti-theft valve make it impossible for thieves to drain stored oil. The anti-theft valve can only be opened by entering a password on a control panel on the tank. The valve can also be opened remotely if foodservice operators choose Frontline’s web-based M3 Data Management System, which helps monitor, measure, and manage cooking oil usage while controlling profits from used oil resale. M3 provides data and reports to track usage and collection statistics and compare them daily, weekly, and monthly. Automatic alarms are sent before fresh oil supplies are exhausted or the waste oil tank reaches “full.” Oil collection companies can even be alerted when it is time to collect. No matter which option is chosen, Frontline gives operators the weapons they need to lay down the law against oil thieves and keep their share of this vital commodity.